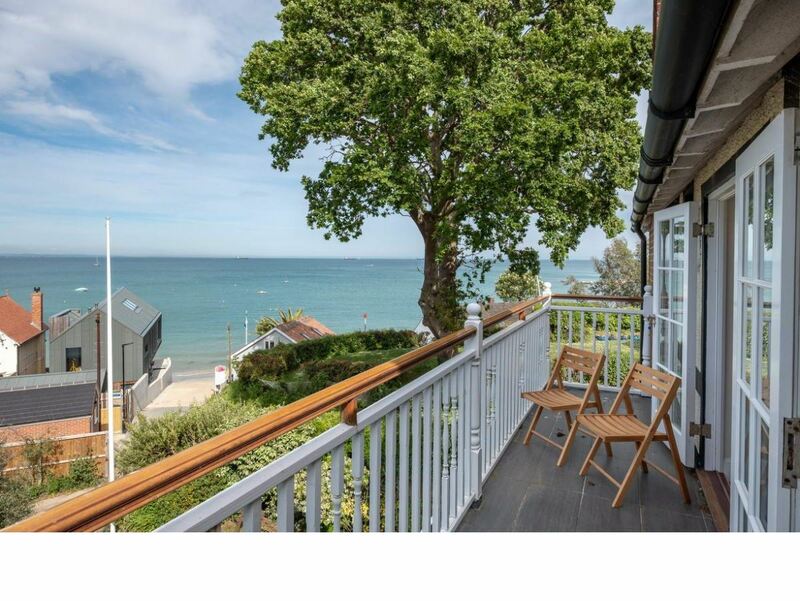 FANTASTIC SEASIDE RESIDENCE with private entrance hall leading to first and second floors. 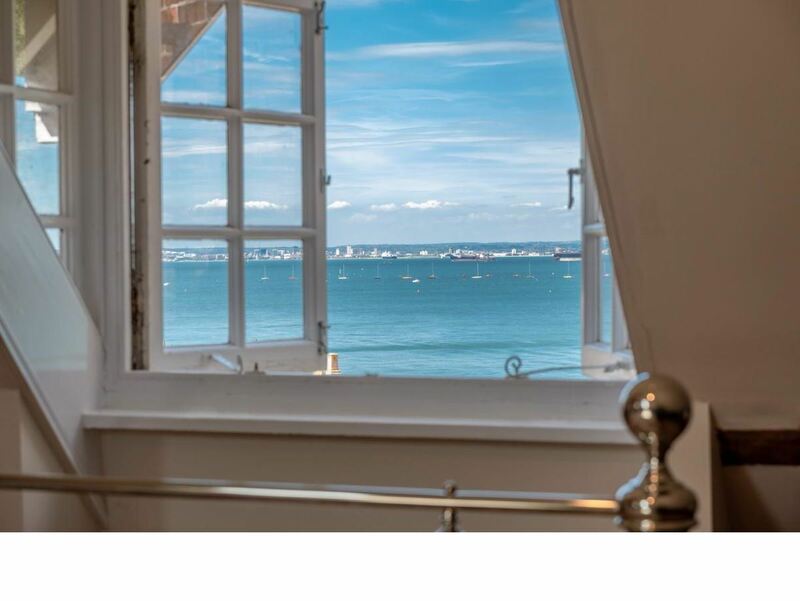 The Chute is literally yards from SEAGROVE BAY, commanding the most magnificent far reaching SEA VIEWS from the majority of the rooms and the long BALCONY. 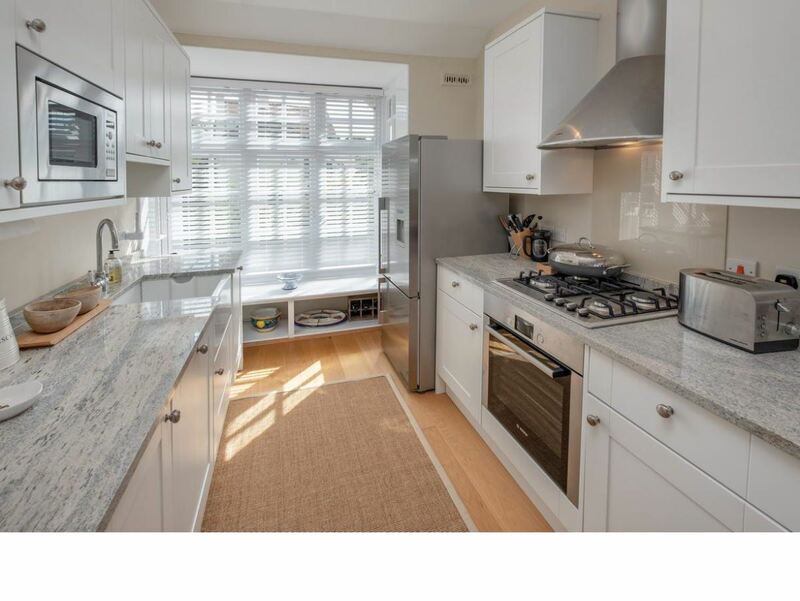 The re-modelled and extensively upgraded interior includes solid wood flooring, period style radiators, contemporary lighting and stripped timber doors - all of excellent quality and with superb finish. 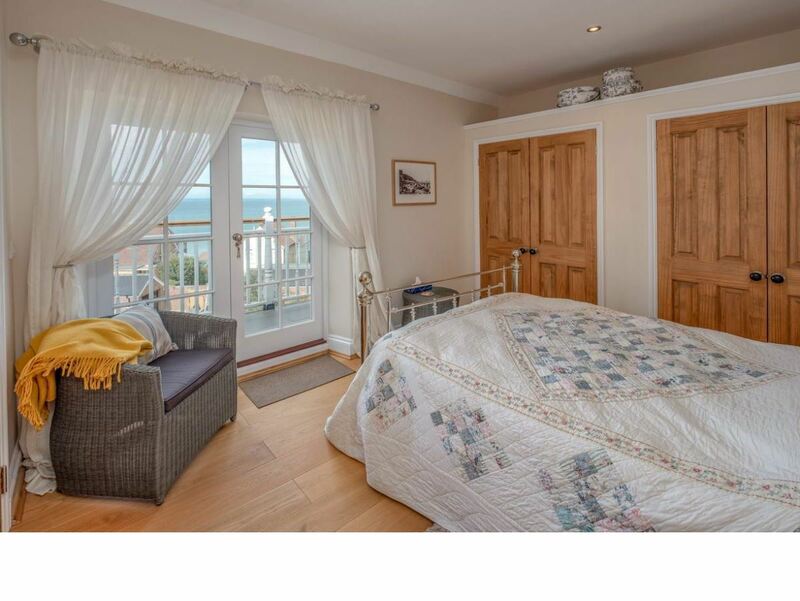 The accommodation offers a stunning triple aspect sitting room, stylish kitchen/diner, 3 DOUBLE BEDROOMS and 3 EN SUITE BATHROOMS, plus a separate guest w.c. Added bonuses include a smart tiered terraced garden plus a car/boat hard standing. 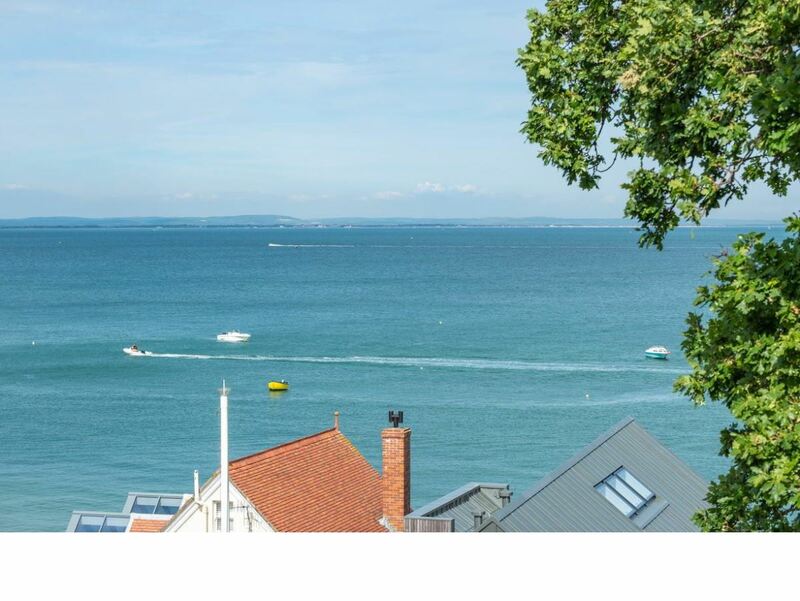 The Chute is seconds from the slipway, beaches and safe swimming waters, and just a stroll away from Yacht Club, boat park, village centre and amenities. View within to appreciate all that is on offer! 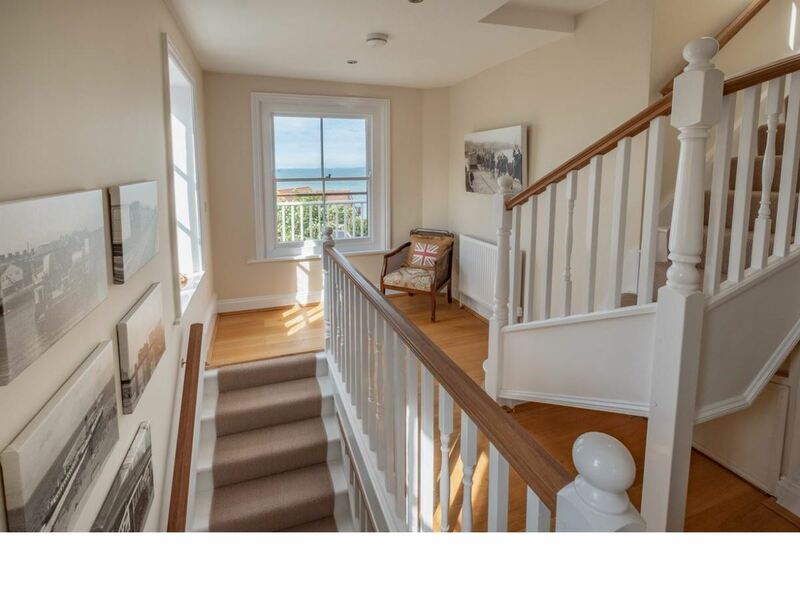 Ground Floor Hall: - Welcoming entrance hall with beautiful tiled flooring. Large Utility/Storage Cupboard with plumbing for washing machine and tumble drier. 'Vaillant' gas boiler and water heater. Thermostat. 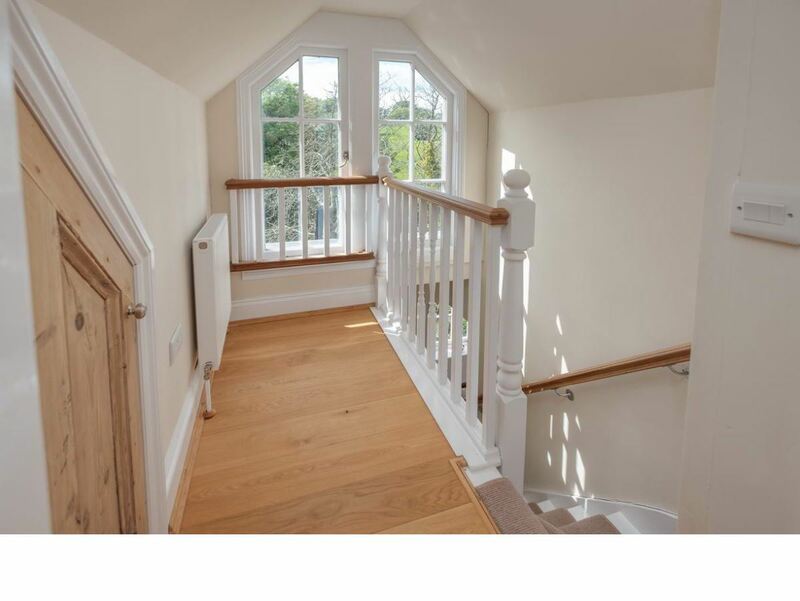 Carpeted stairs with attractive balustrade to first floor. Radiator. 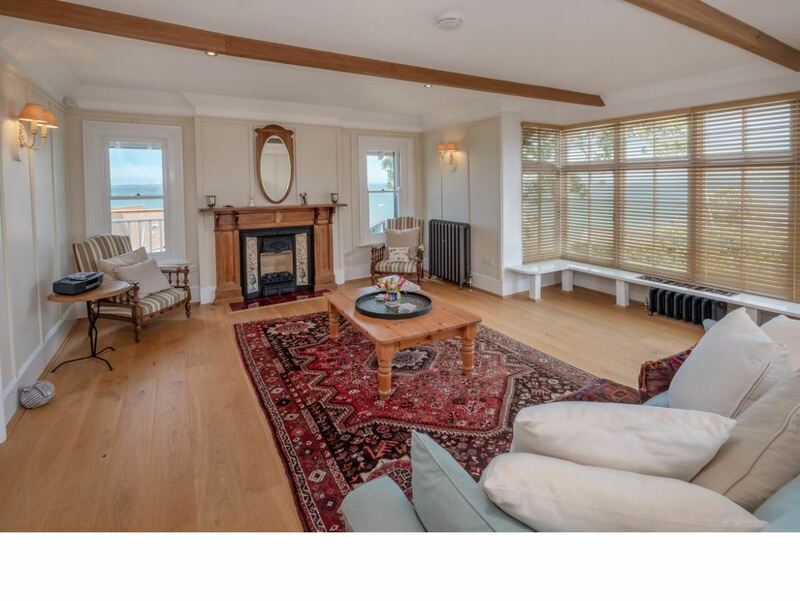 Sitting Room: - 6.40m x 5.36m max (21'0 x 17'7 max) - Stunning spacious and light sitting room offering impressive sea views and spacious and light accommodation. 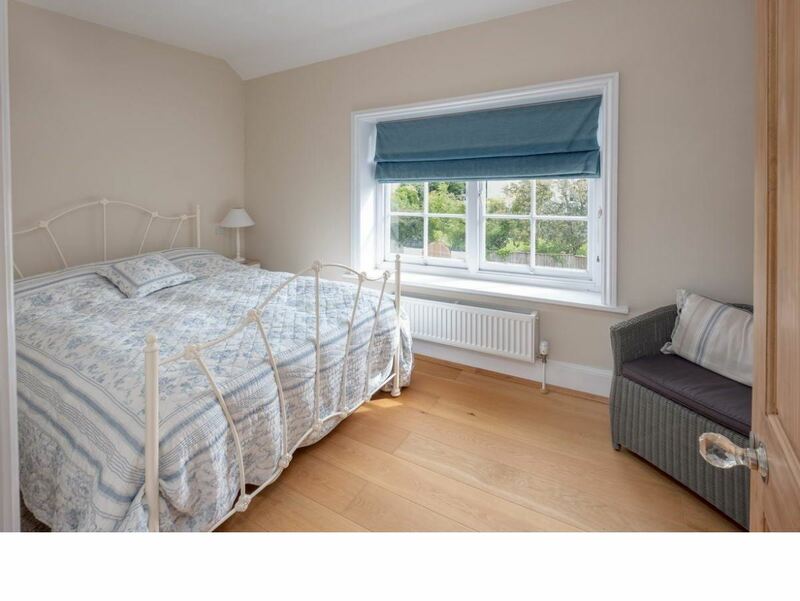 Sash windows x 2 to rear, large bay window with built-in window seat incorporating feature radiator and cover. Further radiators x 2. Attractive fireplace with inset gas fire. Recessed down lighters and wall lights. 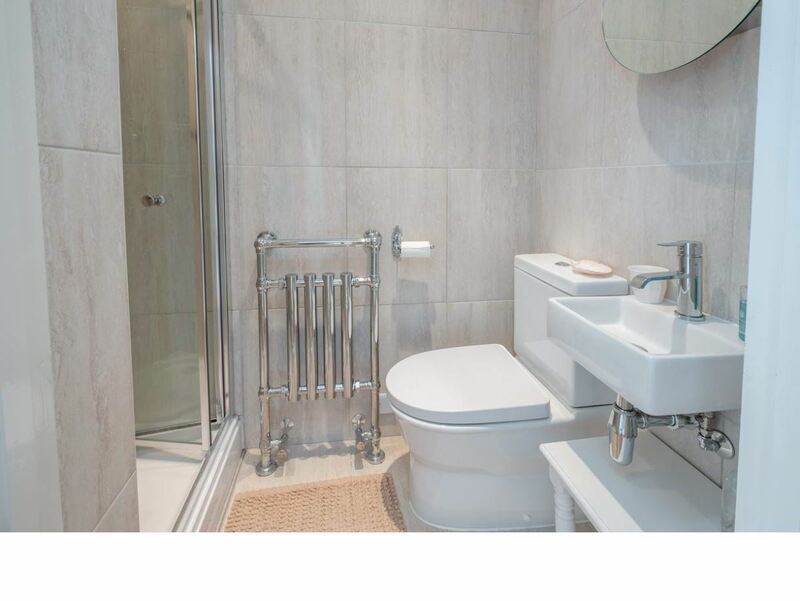 En Suite 2: - 1.96m x 1.04m (6'5 x 3'5) - Stylish modern suite comprising square wash hand basin, low level w.c. and shower unit with waterfall shower. Fully tiled. Heated towel rail. Shaver point. Mirrored bathroom cabinet. Extractor fan. 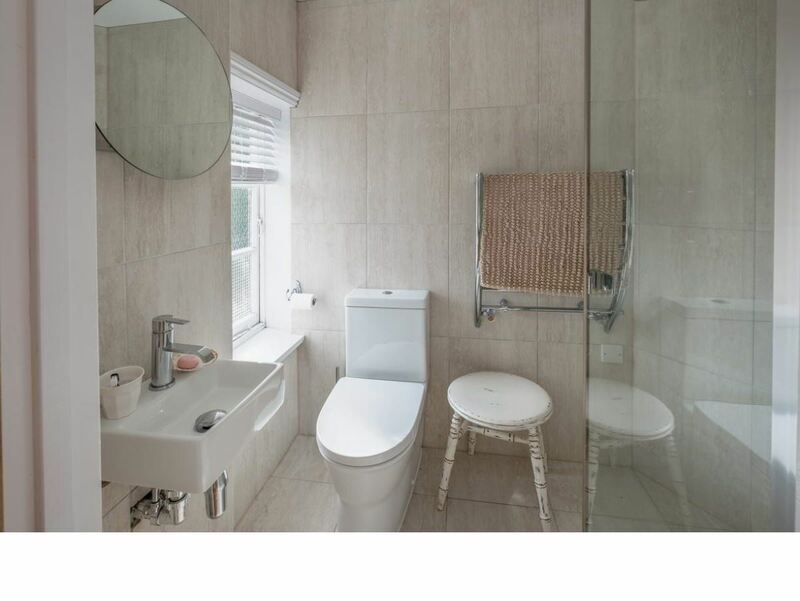 En Suite 3: - 1.96m x 1.35m (6'5 x 4'5) - Stylish modern suite comprising shower cubicle with 'waterfall' shower unit; square wash hand basin and low level w.c. Fully tiled. Heated towel rail. Mirrored bathroom cabinet. Extractor fan. Partly obscured window to front. 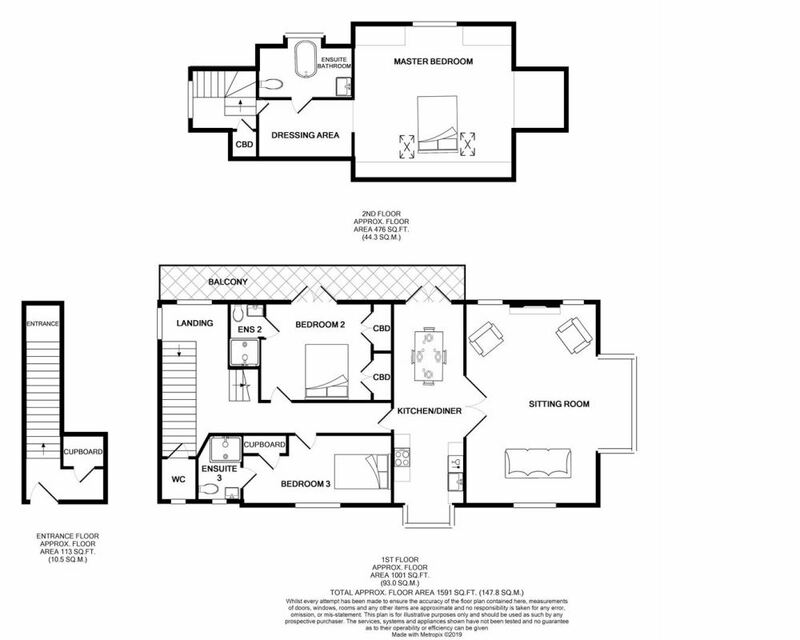 Separate Wc: - 1.45m x 0.91m (4'9 x 3'0) - Stylish modern white suite comprising square wash hand basin and low level w.c. Heated towel rail. Part obscured window to front. Recessed down lighters. Extractor fan. Dressing Area: - 2.87m x 1.96m (9'5 x 6'5) - Dressing area with sloping ceiling and fitted coat hooks providing useful hanging space. Door to Ensuite 1 and opening to Master Bedroom. 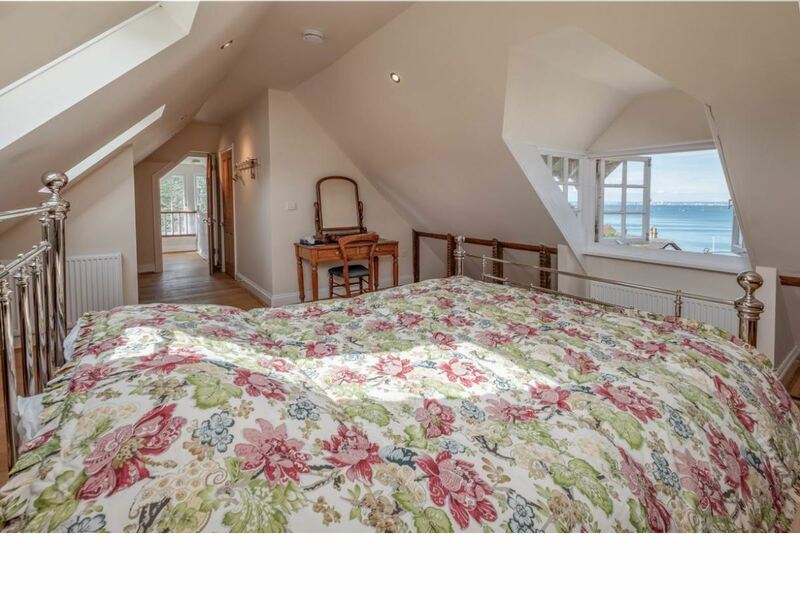 Master Bedroom: - 5.08m x 3.86m + eaves (16'8 x 12'8 + eaves) - Large dual aspect double bedroom with vaulted ceiling and open eaves showing original wooden beams. 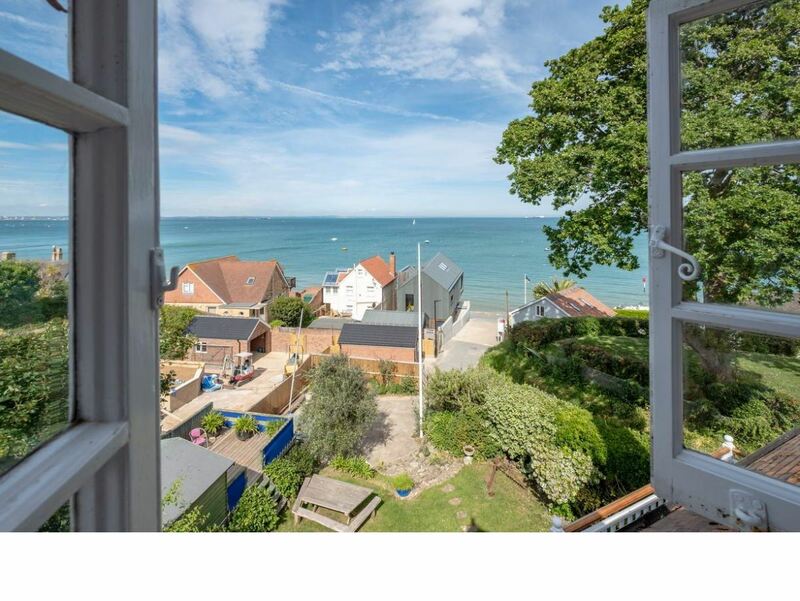 Dormer window offering far reaching sea views and 'Velux' windows x 2 to front. Recessed down lighters. Radiators x 2. 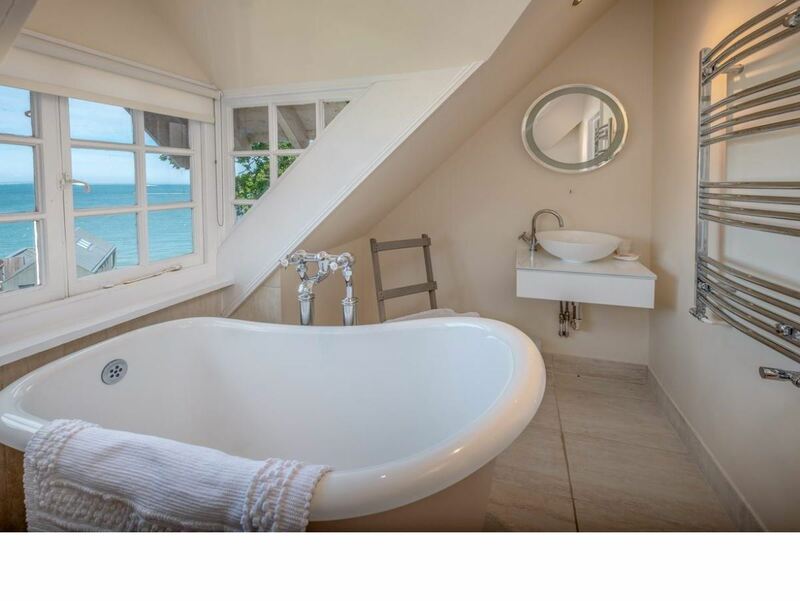 Ensuite Bathroom: - 3.00m x 1.68m (9'10 x 5'6) - Superb ensuite bathroom with dormer window offering far reaching sea views right from the bath tub! Modern suite comprising traditional style slipper bath with mixer tap over, low level w.c. and stylish bowl wash hand basin with mixer tap over. Heated towel rail. Radiator. Eaves storage cupboard. Tiled flooring. Extractor fan. Recessed down lighters. 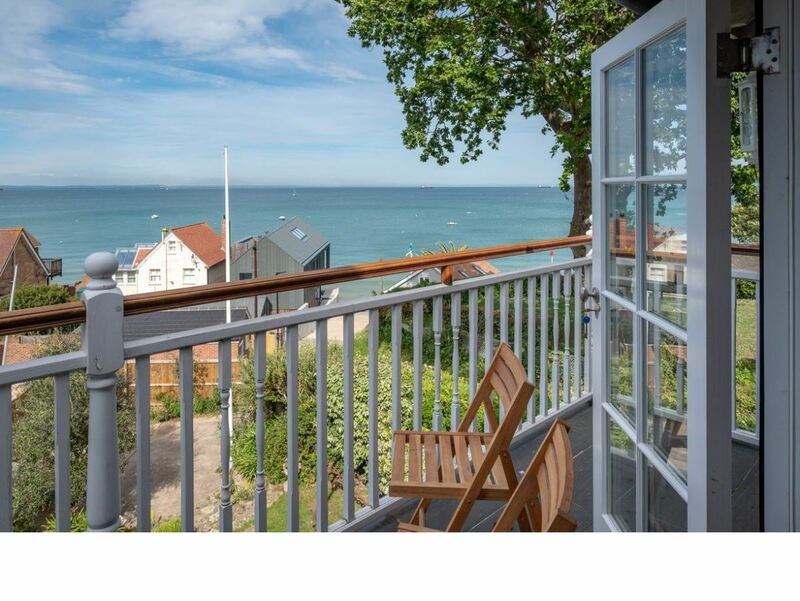 Outside: - BALCONY: A good sized balcony with timber balustrade stretches along the rear of the property offering amazing SEA VIEWS. 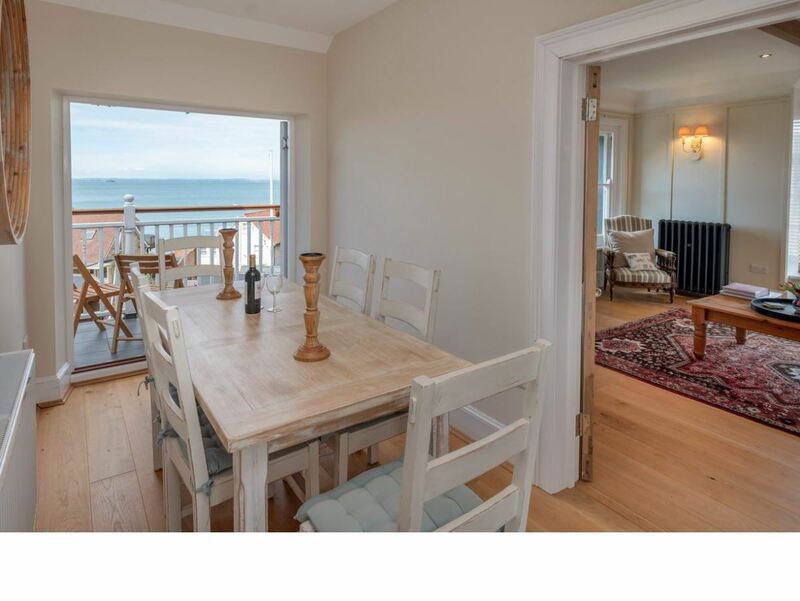 Ample space for dining/relaxing. Slate tiled flooring,. Power and lighting. PRIVATE TERRACE: There is also a private tiered terraced garden over-looking the gully which includes ideal space to conceal bins and store kayaks, etc,. Parking: - Although there is some street parking directly outside The Chute, there is also a car/boat PARKING BAY approx 50 yards away (close to the slipway). Tenure: - The owners of THE CHUTE are the freeholders of the building. 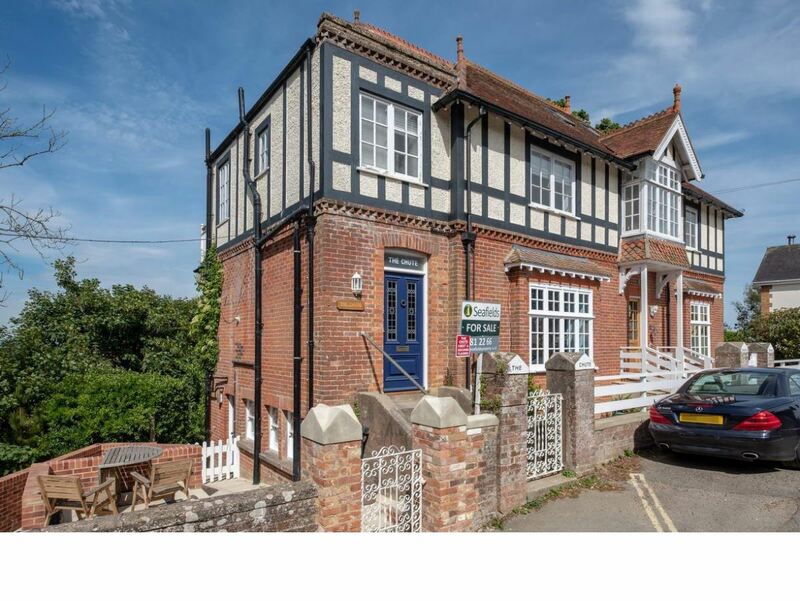 The maisonette below has a 999 year lease and insurance/maintenance is split x 2. Council Tax: - Band: C.